The holiday arena Wildkogel is for winter enthusiasts and families of the winter fun, also on skids. The “soft” wintersport sledding brings fresh air(stream) in the holiday life. As soon as you walk or “lift” together with family, friends and like-minded people uphill the mood is excellent. The descent is then to the particularly “entertaining” winter experience – especially if you are on the “probably longest toboggan run of the world” – really to the wheel sets. Record-breaking 14 km and a vertical drop of 1,300 m are the key features of “curvy” winter experience on the so-called “probably the longest floodlit toboggan run” (daily till 10 p.m.). Up you go with the comfortable Wildkogelbahnen Neukirchen or Smaragdbahn Bramberg. The ride with the family sleigh, sled or snow bike down to Bramberg takes about 30 – 50 minutes, depending on ability. Toboggan, sled or bob can you borrow in the sportshops of Neukirchen and Bramberg. 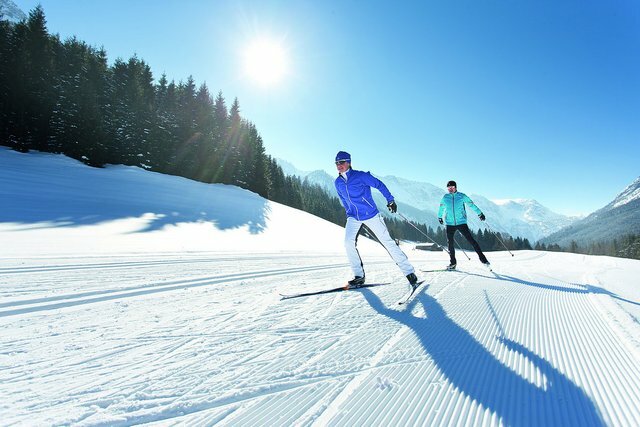 55 kilometer of ski-trails in Neukirchen and Bramberg let nicely rise the pulse of “enjoying” ski walkers and also of athletic cross-country skiers. Night ski-trails in Neukirchen and Bramberg! 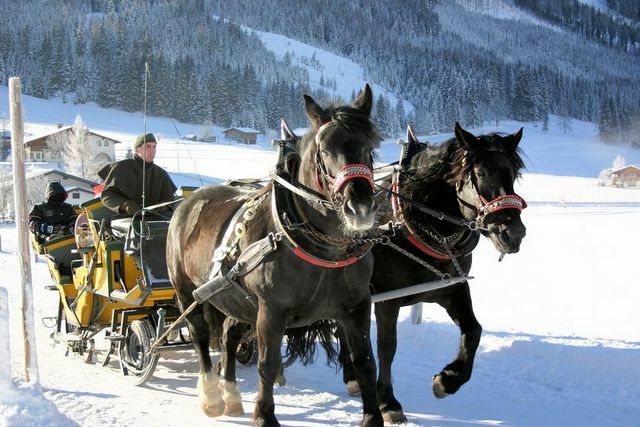 Horse sleigh ride waits for real romantics across the snowy winter landscape. You can only hear the snorting of the horses, the ringing of the small bells, the crunch under the runners, the voice of the coachman. This gives strength for a well future!